EdbMails Mailbox Exchange Recovery Repairs corrupt Exchange Server Database (EDB) files and restores inaccessible mailboxes. It is an entire utility to recover emails, attachments, contacts, calendars, tasks, and so on from corrupt EDB files. 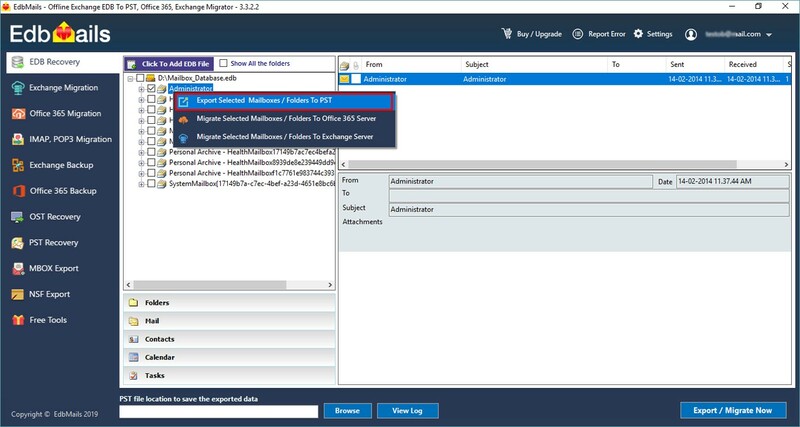 The Exchange mailbox recovery software empowers a scope of highlights and unique feature sets.